Aalayam - Colors, Cuisines and Cultures Inspired! 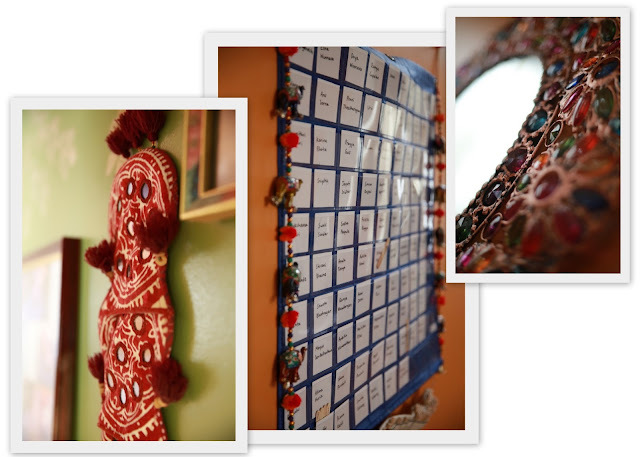 : Artiste Feature - A Home Tour and a rendezvous! Artiste Feature - A Home Tour and a rendezvous! 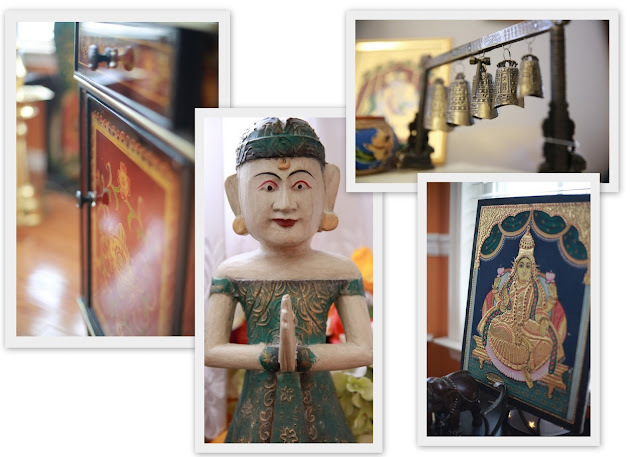 If you are still reliving the traditional splendor of last week's post on Bharatanatyam, we are back, as promised with a sneak peek into Sridevi Jagannath's Home, and her artistic mind space. Aalayam was fortunate to be a guest at Sridevi’s family home in North Carolina. The classical contemporary design sensibilities of her colorful home, which she also uses as a workshop for teaching dance, prompted us to ask her not only an interview but also a Home Tour! And she said Yes!! In continuation of the two-post series – Aalayam brings to you Sridevi’s home tour and a rendezvous with Sridevi herself! Aalayam (A): What inspired you to start Laasya? A: What are your and Laasya’s plans for the future? 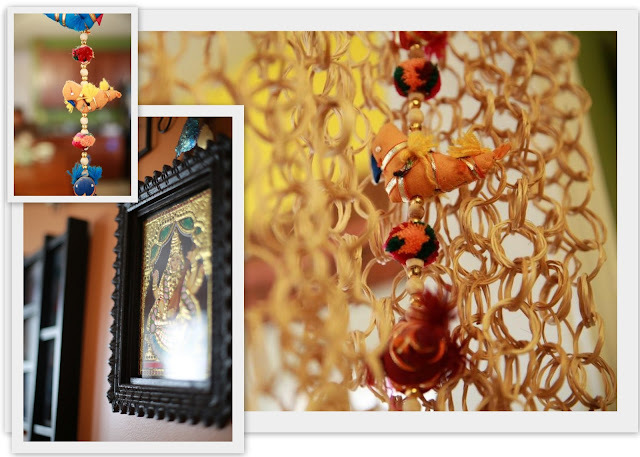 Eye catching finds from all over the world create a kaleidoscopic landscape for Sridevi's artistic endeavors. A: Can you tell us how the rigors and joy of learning dance have inspired your students? S: Laasya boasts of many graduates who started as 5-year olds and have continued to pursue their passion even at the university level. Many students are able to demonstrate their creative ideas either through workshops or innovative choreographies. Even though they come from very diverse backgrounds and unique cultures, dance is the single binding force that transcends many languages. The traditional "Tabala", Indian percussion instrument adds an interesting twist to Sridevi's living room, which combines comfort and rich Indian elegance. A: What is your inspirational message to the Aalayam readers? Thank you Sridevi for letting us into your life and your home! Sridevi relaxes in her backyard deck with her favorite pastime between her classes, cuddling with her family pet and reading with a cuppa joe! Thank you very much! 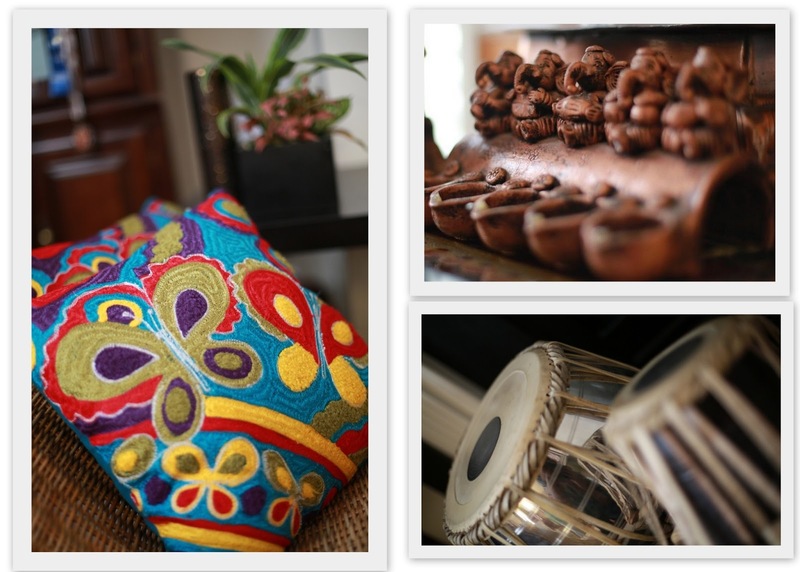 Our blog Aalayam celebrates beautiful things and the richness of global culture. Keep visiting/follow us for a grand experience!! Beautiful corners...it totally reflects that it's a artist's home. We thought so too Nayana! Thank you for visiting Aalayam. Corners and special finds so reflective of the artist! Inspiring.